The Blazing Paddles are recruiting, time do get those paddles up and OWN the water. 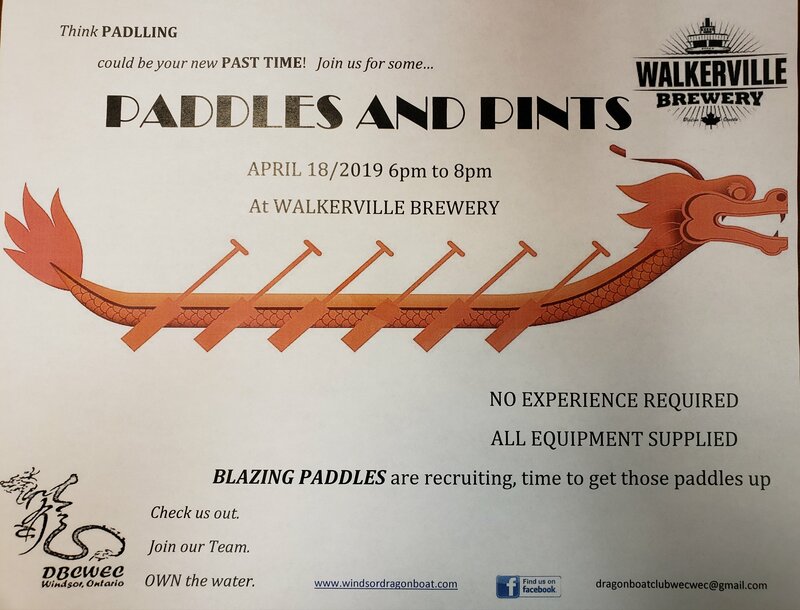 If you have ever wanted to try Dragon Boat Racing, join us, the Blazing Paddles, for Paddles and Pints at Walkerville Brewery April 18th, 2019 from 6pm to 8pm. Meet the crew and enjoy Walkerville’s pints.